Bloglovin: Are you loving it? Here are two books you can easily read in one day. I'm willing to bet if you like these sort of books, as soon as you finish the first one you will be so single minded in reading the next one you will forget children and small animals. Eating and sleeping will be become unnecessary and work?! Ha, don't make me laugh. There is no work when reading these books. Having said that, I was a bit disturbed by the language. There was so much of it. I just hate seeing the F word in YA. Well, I hate seeing it anywhere, but especially in books that kids might be reading. I just think there are smarter ways to write expressions and feelings. Way too much language for me. Just a person preference and one I realize is not shared by everyone. There is also a lot of sexual innuendo and sexual talk. I realize that YA covers a broad age range but this is not a book I would put into the hands of my 15 year old daughter. I would say this is more an upper YA novel. 18+ There is underage drinking facilitated by parents and other adults, which, I might add, is against the law. Yes. Very against the law. These books are witty, engaging and very hard to put down. My thanks to the author and RABT for allowing me to be a part of this tour. Who has not read about—or experienced—with a sinking feeling the fear that someone else out there may be using your credit cards, accessing your bank account, even stealing your identity. In I ll Walk Alone, Alexandra “Zan” Moreland, a gifted, beautiful interior designer on the threshold of a successful Manhattan career, is terrified to discover that somebody is not only using her credit cards and manipulating her financial accounts to bankrupt her and destroy her reputation, but may also be impersonating her in a scheme that may involve the much more brutal crimes of kidnapping and murder. Zan is already haunted by the disappearance of her own son, Matthew, kidnapped in broad daylight two years ago in Central Park—a tragedy that has left her torn between hope and despair. Now, on what would be Matthew’s fifth birthday, photos surface that seem to show Zan kidnapping her own child, followed by a chain of events that suggests somebody—but who? Zan asks herself desperately, and why?—has stolen her identity. Hounded by the press, under investigation by the police, attacked by both her angry ex-husband and a vindictive business rival, Zan, wracked by fear and pain and sustained only by her belief, which nobody else shares, that Matthew is still alive, sets out to discover who is behind this cruel hoax. What she does not realize is that with every step she takes toward the truth, she is putting herself— and those she loves most—in mortal danger from the person who has ingeniously plotted out her destruction. 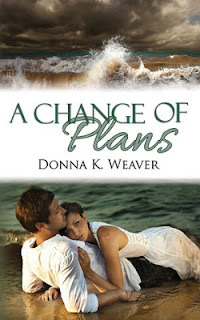 Even Zan’s supporters, who include Alvirah Meehan, the lottery winner and amateur detective, and Father Aiden O’Brien, who thinks that Zan may have confessed to him a secret he cannot reveal, believe she may have kidnapped little Matthew. 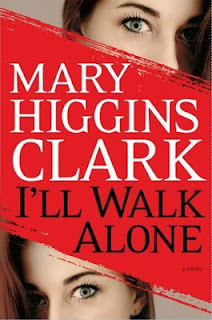 Zan herself begins to doubt her own sanity, until, in the kind of fast-paced explosive ending that is Mary Higgins Clark’s trademark, the pieces of the puzzle fall into place with an unexpected and shocking revelation. I have to admit that I hardly ever read Mystery's. I never read thrillers or horror. I'm just a big, big chicken. Honest. I don't watch scary movies or even really intense ones. But, I can also tell you that I rarely have nightmares and I'm not afraid to shower. I like it that way. Mary Higgins Clark is probably the one exception to my mystery rule because she doesn't scare me. I honestly love the way she writes her stories. I know it's the same format every time but I like it. I like how she plays the characters out. It is easy reading and doesn't require a lot of thinking. It's a good pool or beach read, you know? This book takes identity theft to a whole new level. It's more than just identity theft and honestly, it was a bit heartbreaking. How would it be to have everyone believing you guilty of something horrific when you are innocent? Even your friends? Awful. That's how. I couldn't read these kind of books one right after another, but one a year is a good time for me. I enjoyed this book. It was a pleasant diversion from my usual reads. The Enchanted Skean – Book I of The Chronicles of Lifthrasir is a 430-page, Young Adult fantasy novel filled with action, adventure, and magic. 14-year old Beck Conleth is living a quiet life in the seaside town of Queen's Weather when his grandmother sends him on a journey to Ulfwood to retrieve his father's bones and a family skean (dagger). After reaching Ulfwood, Beck discovers the skean is magical, and that it answers only to him. Soon the enchanted skean and its owner attract the attention of dark mages, goblins, and worse. Helped on his journey home by Wisewomen, warriors, shape-changers, and the other good folk of Lifthrasir, Beck faces death, danger, and the theft of his skean. 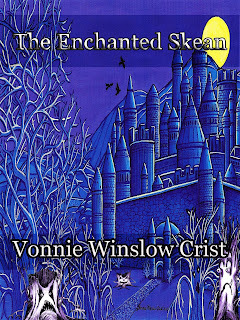 I'm happy to be reviewing The Enchanted Skeen here on my blog today. If you are a fan of fantasy novels, you may just want to check this one out. I know the book is slated as YA but it really felt more along the middle grade lines a lot of the time. That wasn't a bad thing, I just feel like it may hold more appeal to the younger crowd. I really liked Beck. He's a good boy, well mannered, loyal and smart. He's everything you look for in a male hero lead. Beck is young though and still learning a lot about the world he lives in. What I loved most about this book was how Beck made friends all along his adventure. Because he was polite and respectful of people, places and animals, he won people over. He made good allies that helped him along the road of his journeys. This book had adventure, mystical creatures, enchantment, and evil lurking around every corner. It was a true representation of good vs evil and a very enjoyable read. 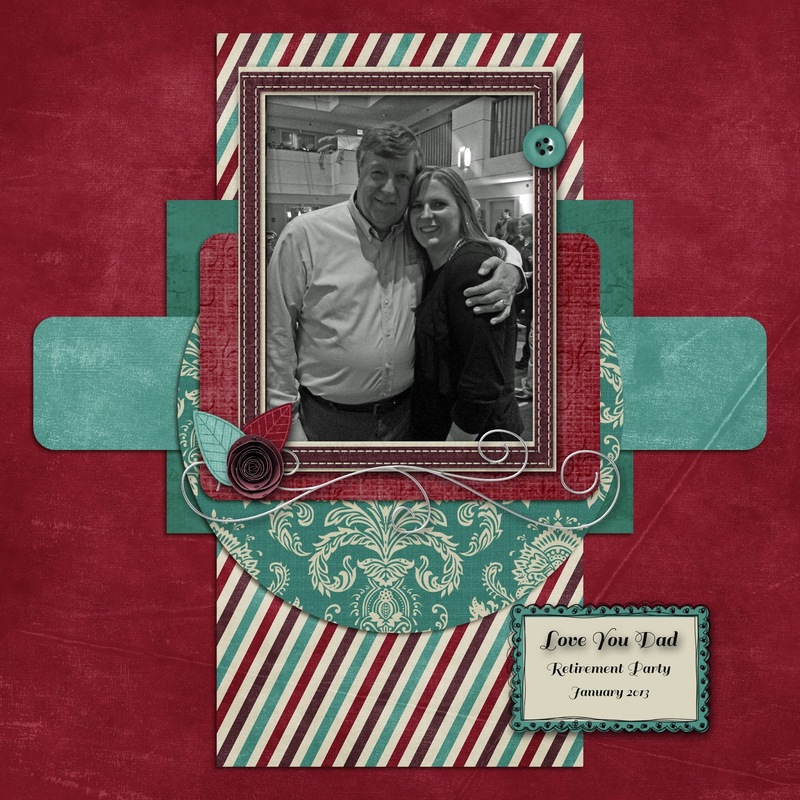 My thanks to the author, Vonnie for allowing me to read and review her book. 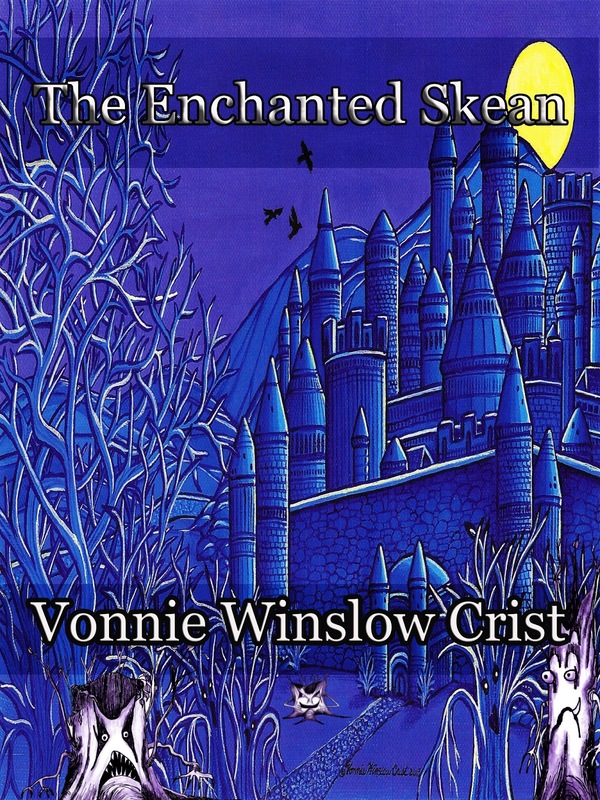 You can find The Enchanted Skeen <here>. Erin Radkey remembers all too well what life was like as a mortal—and it’s not something she wants to repeat, though there were a lot fewer people trying to kill her before her Change made her one of the Unbounded. Over the centuries the long-lived Unbounded have divided into two groups, the Emporium who craves money and power and will do anything to achieve its ends, including experimenting on its own people, and the Renegades who protect unsuspecting humanity. Now the Renegades are close to discovering a cure that will save many lives, and the mortal husband of Erin’s closest friend is first in line. But cures cut into Emporium profits, and their agents will stop at nothing to destroy the research and assassinate anyone who gets in their way. Erin’s new abilities are tested as she and fellow Renegades fight against the Emporium in a struggle that soon becomes all too personal and where lines of loyalty are blurred by relationships of the past. Everything is at risk, including the lives of her friends—and the love of Ritter Langton, the Renegade Unbounded who both infuriates and excites her. 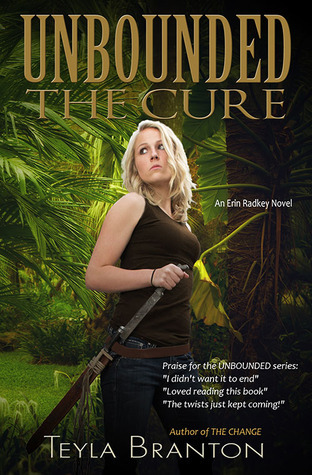 From the busy streets of Portland to the jungles of Mexico, The Cure is a page-turning urban fantasy that will keep you guessing until the end. 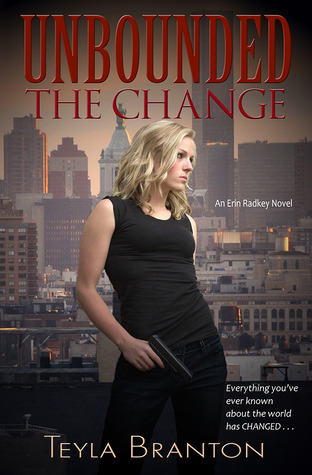 The first book, The Change, started out a bit slowly for me. It took awhile for me to become invested and "all in" but it did happen. The pace picked up and honestly it hardly ever let up. As I got to know the characters, I grew to like them. Well, or not like them, depending on who the character was. The first book had good character development and setting descriptions so I could easily picture the book playing out in my head. Like I said, I was glad to be able to read right into the next book in this series. Not having to wait was awesome. There is good tension between Erin and Ritter but I didn't feel like it ever progressed farther than attraction. I didn't see the "love" developing based on the interactions they had. Hope for love maybe. The attraction and tension were palpable and real though as they were in the first book. There was violence in both books, but especially in the second book. It was a bit bloody. The Unbounded get hurt a lot but lucky for them they heal quickly and can get right back in the game. And get hurt again. And again. And again. In the first book there is, I think, one instance of mild swearing. What bugged me was the progression of that in the next book where I encountered the B word within the first few pages. I felt like it was unnecessary and out of character with the rest of the writing. Aside from those couple of instances there was nothing more. As far as writing goes, I enjoyed these books a lot. I would say that this author has greatly improved her writing here from the other books she has written. She is using a pen name for this series so I know her from other books written primarily in the LDS fiction genre. These books are so much better than those and aside from my gripe about the two random swear words, I loved reading these books. I would describe these books as fast paced and engaging. I was caught up in the world of the Unbounded and I really liked it there. I'm looking forward to the next book and will definitely be picking it up. I love my dad. He's always been so good to me. He has worked hard his whole life to be the best provider and supporter. I'm grateful for him and I'm grateful to be his daughter. Happy Father's Day, Dad! And a happy father's day to all the father's out there. And a Happy Father's Day to my husband, the father of our children. I couldn't ask for a better partner and friend. He is a great example of hard work and dedication to the kids. He loves me and my kids know it. What could be better than that?! Nothing, really. When twenty-five-year-old Lyn sets off on her cruise vacation, all she wants is to forget that her dead fiancé was a cheating scumbag. 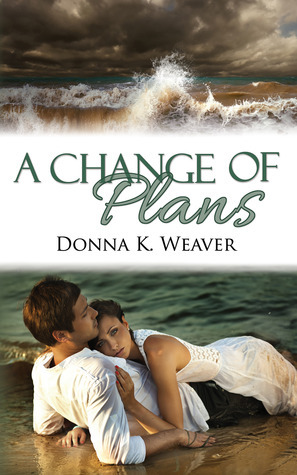 What she plans is a diversion uncomplicated by romance. What she gets is Braedon, an intriguing young surgeon. He's everything her fiancé wasn't, and against the backdrop of the ship's make-believe world, her emotions come alive. Unaware of the sensitive waters he navigates, Braedon moves to take their relationship beyond friendship—on the very anniversary Lyn came on the cruise to forget. Lyn's painful memories are too powerful, and she runs off in a panic. But it's hard to get away from someone when you're stuck on the same ship. Things are bad enough when the pair finds themselves on one of the cruise's snorkeling excursions. Then paradise turns to piracy when their party is kidnapped, and Lyn's fear of a fairy tale turns grim. This review just goes to show you what a good blog tour can do. I saw this book all over the blogs for a blog tour and I read lots of great reviews for it so I decided to buy it. I was a little ahead in my review reading and decided to take a few days to read some books that were in my "feel good zone". This is one I decided to read because I always head to clean romance when I want to escape. Ummm Hummm. There was some good tension and build up. Good romance. I love how the story unfolded and became a true love story. It's a typical romance in a lot of ways- girl meets boy, girl has baggage and runs away from boy, boy is patient, some unseen thing pops up to make things tough, girl realizes she loves boy and they work things out. But, in addition to being a typical romance this has lots more to offer after we get to the realization and work things out part. :) I'm not going to give anything away. You should just read it. But maybe you shouldn't read this book while on a cruise ship. . . This book was exactly what I was looking for. A romantic escape. I was all in and read through this book quickly. Yipee for a great read this week! 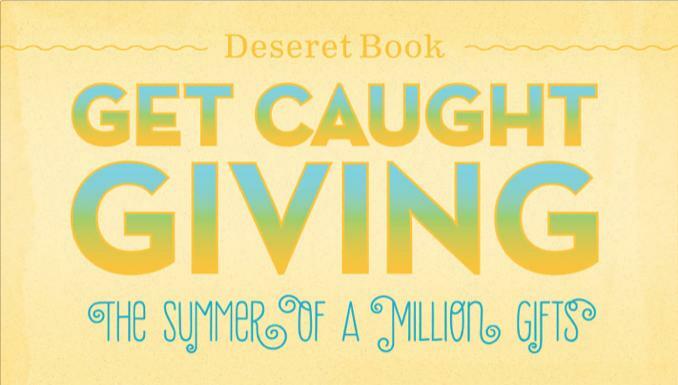 Get Caught Giving: The Summer of a Million Gifts! 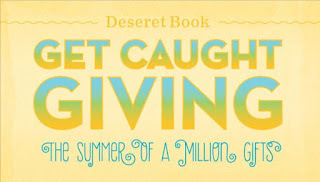 Enter to win a $50 Deseret Book Gift Card! What started out as a bit of research for a sociology paper quickly turns into much more than Cindy ever expected. But can she survive Danny’s PTSD long enough to form a relationship with him? Cindy Waymire, a college senior in search for a topic for an upcoming sociology paper, finds more than a topic when she meets Army veteran and college freshman Danny Flynn outside the student union. An undeniable attraction to this troubled veteran leads her on a difficult and winding path that brings her to a crossroads — get into a relationship with a man who has serious mental health problems or turn her back on one of the best men she’s ever met. Can Cindy set her fears aside and follow her heart, or will the ghosts haunting Danny’s mind end their relationship before it begins? This book was interesting to me because it shed some must needed light on a serious mental health problem that many people do not understand. PTSD is a very real thing for so many people. I personally do not have much experience dealing with this so for me, this book was enlightening and made me think about the very difficult path people with PTSD face. Of course, along with this, I would be simply ungrateful if I didn't send a huge shout out to the men and women of our country's armed forces. You have my most sincere thanks and respect for what you do to protect and represent our country. I am living the life I do because of you. Thank you for the sacrifices you make for me. This is a inspirational or Christian romance. I would say as far as these kind of books go, it was on the more mild side and not too preachy. I thought this was a good book. Cindy and Danny have an interesting beginning to their relationship. It was a good attention grabber. Cindy is a good sort of gal. So patient and empathetic. She is smart and does her research on PTSD so she knows more about what Danny is dealing with. I like her. Plain and simple. For me, the last third of the book started to drag. It got a little too bogged down in the mental and physical drama and it was hard to push through. I got to the point where I just wanted to be at the end already. That's not to say that overall I didn't enjoy the book because I really did. It just got to be a bit long and overdone to me. My thanks to the author for writing a book that must have required a lot of research and emotional understanding. It seemed very real to me. And, as usual, my thanks to Astraea Press for allowing me to be a part of the reviews for this book. You can buy Battlefield of the Heart at Amazon. E.A. 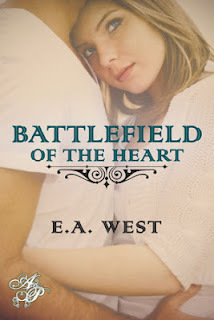 West, author of sweet and inspirational romance, is a lifelong lover of books and storytelling. In high school, she discovered the wonders of sharing her stories with others through writing. She picked up her pen in a creative writing class and hasn't laid it down yet. 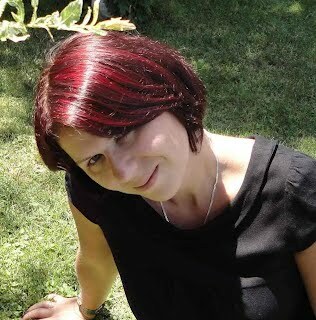 Her love of writing encompasses not only the romance genre but also a variety fiction and non-fiction styles. Born and raised in Indiana, she still resides there today with her family and a small zoo of pets that includes the typical dogs and cats, and the more unusual African water frogs and a ribbon snake. Her interests are as varied as her critters. She has been known to carry on conversations about everything from politics and current events to gardening and theology. When she's not writing, you can usually find her working on her latest knitting or crochet project. On Tour with Above Rubies by Jacyln M. Hawkes + a Giveaway! I was really looking forward to reading this book. I read the first book in this series, Peace River, not too long ago and really enjoyed it. Being able to follow Rossen's story was just too good to pass up. This is an LDS fiction book so there are references to the LDS faith. In the afterwords of this book by the author, she explains how her mother thought this book was too forward. It made me laugh because it was seriously the last couple pages of the book before we even got a kiss! I ended the book wishing there were more kisses in there, more smoldering, and then I read what her mother thought. It was just funny to me. To each their own with romance books though, I guess. I do appreciate how clean and above board Jaclyn keeps her books. There was for sure a frustrating build up of emotions between the two main characters. As a reader I always appreciate when my feelings become involved because I know I'm invested in the story. I felt that in this book because I wanted the best for Kit and I wanted that happily ever after to happen for her. My frustrations were high. See? Invested. :) I'm looking forward to more by this author and more in this series. 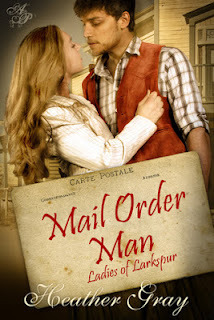 Mail Order Man by Heather Gray: Review, Interview and Giveaway! Blurb: Some people get a mail order bride. She got a mail order man. A well-meaning friend places an ad to find a mail order husband for Sarah, the proprietress of Larkspur’s stage and mail office. Sarah, who is generally quiet and reserved, doesn’t know about the ad and has no idea what to do with all the people that are showing up in her community. Before long, the town is overrun with men and mail alike. Sarah is trying to avoid some men who have accosted her on the street when she stumbles into Samuel. Through long days spent together at the stage office, some very adventurous pots of coffee and a shared faith, the two become friends. Sarah knows that Samuel is hiding something from her, something important, but that doesn’t stop her heart from leaping wildly into love. Lacking the confidence to trust her heart, Sarah wars with herself over the feelings she can no longer deny. When some of the men who have come to town show their true intentions, a shootout follows. Sarah finally gets answers to many of the questions circling through her mind. One question remains, though. Where will her mail order man go when the dust settles? This is an awesome loaded post for you all today. Not only was I able to read and review Mail Order Man but I get to share an interview AND a giveaway as well. My thanks to Heather for the interview. I love getting to know authors better. And another big thanks to Astraea Press for providing for the giveaway. They are an awesome publisher. Mail Order Man is slated as a historical romance but I would add that this is an inspirational (Christian) historical romance. There was a lot of Christian elements in this book. I wasn't aware of that going into it so I just wanted to put that out there. I love a strong male lead, all man and western-ish. That's what Samuel is. A true gentleman. His interest and romance with Sarah is slow moving, gentle and sweet. What is a good western without at least one good shoot out? One of the things I loved about the setting of this book was the small town's sense of community. They all pull together to take care of business and each other. That's what it's all about. This is really a "feel good book". There isn't anything intense or shocking. Just a safe, easy read for a lazy summer day. 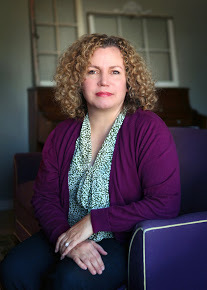 The following is an interview with author Heather. It was my pleasure getting to know her better. I hope you will enjoy it too. Hi Heather! Welcome to my blog. J Thanks for taking the time to do an interview with me today. I love getting the chance to know authors better and I love being able to share it with my blog reading friends. What made you decide to write books? Was it something you’ve always wanted to do? I discovered a love of writing a hundred and some years ago, all the way back in the fourth grade. Then I grew up, and life got busy. Not only did life get busy, but somewhere along the way I developed a fear of rejection. So I never did much with my writing. Then in 2011 my daughter became ill. We lost her in 2012. The week following her memorial service, a friend asked me what I was going to do with myself. Mind you, I still have a husband and son whom I dearly love, but losing a child is…the worst pain I've ever experienced in my life. I'd not had to think about what to do for a very long time because my life had been so full and wonderful. Suddenly there was a hole, and doing nothing was out of the question, because idleness led to thinking and thinking led to sadness and sadness led to…you get the idea. So I decided to write. I know it's a dismal way to get there, but I realized that nothing could possibly hurt as much as I already hurt from losing my daughter, certainly not the rejection of something I'd written. As it turns out, my manuscript did not get rejected, and I began a whirlwind journey for which I've been so grateful. Life is sadness and happiness, hurt and joy, woven together. None of us is exempt from pain. During a time in my life that has truly been shaped by loss and heartache, I was given the gift of something to celebrate. It can't possibly take away from or minimize the sorrow and grief, but it has been good to have something so wonderfully positive occurring in the midst of something so terribly sad. Are you a structured writer? Specific time of day, specific place? I write whenever I can. I need a certain amount of silence to concentrate, and I live with two very talkative males, so…sometimes the best writing takes place after everyone else has gone to bed and it's just me, the dog and the two fish. (The fish, especially, are good about not interrupting me.) Otherwise, seriously, anytime I have silence, I write. If the men in my life decide it's time to mow the lawn, I boot up the laptop. If they make a quick run to the post office, I am glued to my keyboard. If they decide they want to go to the bookstore (which can literally take hours), I do a quick happy dance and then start typing away. That's about as structured as I get. What sort of research do you do for your books? Is research a “love” part of your writing process or a “not so love” part? I enjoy researching different time periods, whether it's the clothes, social structure, politics, employment opportunities or the language used. The problem I run into is that I then want to take everything I've learned and dump it into my writing, but in truth, only a fraction of what I research actually makes it into the book. Otherwise it would sound like a textbook rather than a novel. One of my favorite parts of research is language. As I'm typing along, I will write things that sound very modern in a book that is historical, so then I have to go back and look at the etymology of the word. I read through dictionary and idiom word banks all to answer this one question: Was this word in use in this way at that time? I know to most people that probably sounds boring, but it's something I find wholly fascinating. I’m a girl who loves a good romance and I really love them clean. I know Astraea Press, your publisher, promotes clean fiction. Is this something that is important to you? Why? I write inspirational fiction which, by definition, ought to be clean. When I began looking for a publisher, I found several that have inspirational lines but that also publish erotica or other types of fiction with which I wasn't comfortable. I wanted a publisher of whom I would not be embarrassed. How would it make me (or my readers) feel if I had to say, "Go to my publisher's website, but be careful what you click on…" When I came across Astraea Press and read their guidelines for clean fiction, I felt like I'd struck gold, and I haven't looked back since! What was your favorite part to write in Mail Order Man? You have to promise not to laugh at me. The epilogue was my favorite part to write. I liked knowing how Samuel and Sarah were going to turn out as a couple, how they would be together when no one was watching. Getting to know each other can sometimes be awkward and uncomfortable, and it did my heart good to bring them to a point where they were past all of that and were simply happy and relaxed and together. Between writing, working on edits, and trying to get the hang of marketing, I haven't had much time to read lately. I plan to remedy that soon, believe me! In the past couple months, though, I can think of two books that really stood out to me as good reads: Rescued By That New Guy In Town by J.L. 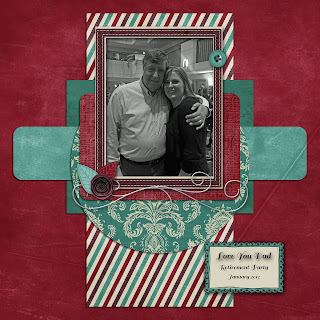 Salter and A Lot Like a Lady by Kay Springsteen and Kim Bowman. While I don't exclusively read Astraea titles, I do need to tell you (full disclosure, etc.) that both of these titles are put out by my publisher. Do you have any other books/projects in the works? I am almost giddy. Three more books and a short story are currently under contract with Astraea Press! I have learned more than I can put into words (which is a little crazy, since words are what I do) during the writing and editing of this first book. Each of the next books (as well as my readers!) are the beneficiaries of that experience. The possibilities are endless! The other books coming out later this year are: Just Dessert, the second book in the Ladies of Larkspur series; Ten Million Reasons, a humorous contemporary romance; His Saving Grace, a regency romance; and Late For The Ball?, a Young Adult short story that I hope will be thoroughly enjoyed by young, old and in-between.